Users of early elevators were responsible for opening and closing the doors manually, sometimes neglecting to close the doors and creating a hazardous situation with the shaft exposed. 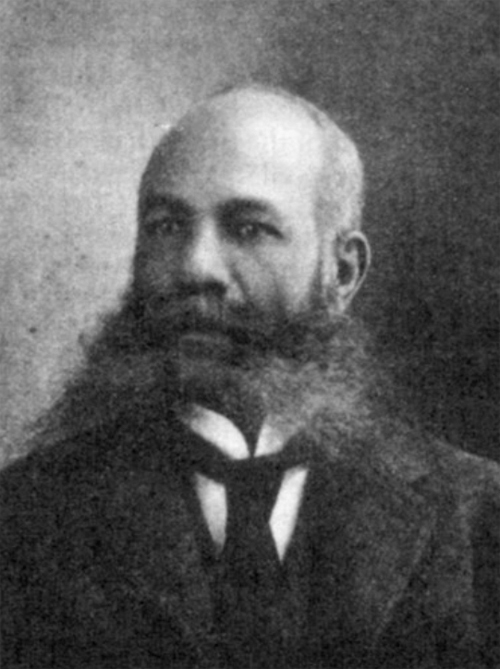 Duluthian Alexander Miles solved this problem by inventing an improved mechanism to open and close elevator doors automatically when the elevator arrives or departs the floor. This is just one of the accomplishments of this successful and creative businessman who lived in Duluth in the late 1800s and was thought at the time to be the wealthiest black man in the Midwest. Alexander Miles was born in Ohio probably in January of 1837. His father was Michael Miles of Pickaway County, and his mother was Mary Pompy. Alexander grew up in Ohio and in the late 1850s moved to Waukesha, Wisconsin, where he made his living as a barber. In Winona, Miles met Candace Dunlap, a white woman. Candace was born in New York in 1834, grew up in Indiana, and had moved to Winona in the late 1850s with her husband Samuel. In the 1860 census, they list two children, a daughter Alice and a son Loammi. By 1870, Candace and Alice were living with Alexander in Winona. By May of 1875, Alexander and Candace had moved to Duluth and were living as a married couple, and Alexander was again working as a barber. It was a time when Duluth was undergoing rapid growth—the Lake Superior & Mississippi Railroad had just started passenger service to the city in 1870, and Duluth was experiencing a boom in real estate. During Miles’s twenty-five years in Duluth, the population grew from about 2,200 (1878) to 52,969 (1900). Candace gave birth to the couple’s only child, a daughter Grace, on April 9, 1876. They resided at 311 West Fourth Street. In 1882, the new St. Louis Hotel opened at Fourth Avenue West and Superior Street; it was the most opulent hotel in the Zenith City at the time. Miles operated the hotel’s barber shop and bath rooms and Candace started a dressmaker’s business. The couple invested heavily in real estate and by 1884 had built six rental houses on West Fourth Street (between Third and Fourth Avenues) and the Miles Block, a three-story brownstone at 19 West Superior Street, with retail space on the first floor and rentals on the top two floors. On October 11, 1887, Miles was granted a patent for his automatic elevator door design. As he stated in the text of the patent application, his objectives were to avoid the danger of the shaft being left exposed and to allow the movement of the elevator cage to open and close the doors, thus avoiding the need for manual operation. The influence of Alexander’s invention is still seen in modern elevator designs. In addition to being a very successful businessman during his years in Duluth, Miles was also active in the community. He was the only black member of the Duluth Chamber of Commerce at the time. He was a president of the Colored Republican Club of Duluth and a member of Zenith City Lodge No. 14 of the Colored Knights of Pythias. And he served as chairman of Duluth’s Lincoln’s Birthday celebration on February 12, 1896, the first year it was celebrated as a legal holiday in Minnesota. It is thought that at one time his assets totaled $500,000. In 1899, Miles owned a barber shop at 424 West Superior Street and was operating a real estate business out of the Miles Block. He sold the Miles Block around 1899 to the Zenith Investment Co. for $28,000. By November of that same year the Miles family had left Duluth and moved to Chicago. There he helped to implement a project that had been planned for two years—organizing and operating a life insurance company to provide insurance for Afro-Americans. The idea behind starting the company was that American insurance companies at that time were refusing to insure black people on the grounds that they didn’t live as long as white people. It was probably around this time that Miles began to experience financial failure. Successive recessions in the late 1890s and early 1900s were hard on speculators, and Miles apparently continued to invest. By 1901 or 1902, he and Candace had relocated to Seattle, Washington, and he was again working as a barber. Candace died on November 4, 1905, in Seattle, at the age of 71. Following her death, Miles lived alone in a hotel and continued to work. He became ill in the spring of 1918 and, being without funds, was brought to the county hospital. he died there on May 7, 1918, at about 81 years of age. Alexander Miles was inducted into the National Inventors Hall of Fame in 2007. Author David Ouse has expanded this biography of Alexander Miles, and you can read the full version here.